For everyone who doesn't really get what happens there: the Antwerp Book Fair is in a massive building where publishers and bookstores get a spot and sell their books. Obviously! But there's more to it! Each year, the Book Fair let's authors from across the world come to the event to sign their books or to do an interview with or a quick chat and so on. My first time going was in my 4th year of high school because of a task I had to do for my Dutch class. It was also then that I found a very interesting book that got me into reading. But that story is already explained in my blogpost 'How it all started, my book adventure'. Even back then, it was very crowded and I was glad to get out of the building! But I wasn't a reader at the time. Obviously, because of that very interesting book I bought then, I became a proud book junkie. Yet I still couldn't make myself go to the Book Fair because of the same reasons listed in the introduction. I did check up on who would be signing each year. Yet there never was an author I read anything about. This year, that changed! I posted the following picture on my Instagram a while back. Someone from the community had responded on the picture saying that Estelle Maskame was coming to the Antwerp Book Fair and if I knew? Well, thanks again @natulcien1980 for telling me because no, I didn't know! I was so enthusiastic about it that I couldn't wait for it. Even though it fell in my midterm break, I did have exams the following week and I needed to study! But I promised that I would study well the first days of the break so I could go anyway. And guess who went? YES, me! I read all her 3 books and I wanted them all signed so I brought them all. But my mother had another outstanding idea! Each Christmas, we exchange presents with my nieces and nephew. I remember that when I heard the book was translated in Dutch I wanted to give it to my niece because she loves reading (rather in Dutch though) and I knew it'd be something she'd enjoy. "Does she already have the book?" my mom had asked and I told her my plan for Christmas. 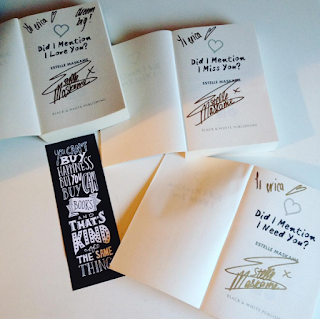 "Maybe we could go get the book already and let it be signed?" That was the most amazing and crazy and fantastic idea I've ever heard! Before we went to the Book Fair, we bought the first book translated in Dutch and took it with us to the Book Fair. 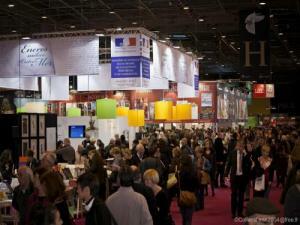 Exactly as I remembered, the Book Fair was busy and I couldn't see one meter in front of me. It was absolutely PACKED! Which also concluded in people coming uninvited in my personal space, the whole building being a sauna on fire and people actually KICKED my BOOKS! I'm serious though! I had all those books with me, I had them in a bag that I carried around and people came so close and actually kicked the bag. Ever since then, I held them up on my shoulder to prevent more kicking my books. Since we were early we went to one stand that had English books but the hall was so small, you couldn't cross others that were already standing there. This led to me going back out of it because I couldn't see anything anyway. Above that the books were actually very expensive. I could find them half their price on the site I always order my books. It was two o'clock when I saw the first few people hanging out at the spot where Estelle Maskame was going to sign. So my mom and me decided to already wait too before the line got too long. We were second! SECOND! I was so happy to be in the beginning because she would only be signing one hour, then she had to go to the stage. We waited, and waited and waited and then suddenly she stood there and waw. She was really nice! Absolutely amazingly, fantastically sweet and she talked to you and asked questions. All the while I was standing there not being able to force anything out unless she asked me something! I was just so overwhelmed and I was so happy! So she first signed my three books and then I asked her to write a Christmas message in the book for my niece. And she was like "Of course" and glad that I asked. She's so friendly guys! I also took a picture with her because obviously, this was a one in a life time opportunity. Last year in June she was in the Netherlands and I wanted to go but I had exams and therefore couldn't go at all. I was really sad about it but look at it now: I got to meet her! She's also my first ever author to meet and sign my books so it's also a big achievement in my eyes! When that was all done, I was absolutely satisfied! My mom and me had also subscribed for a YA goodiebag because that day, it was YA convention day at the Book Fair. I already had seen people walking around with these cool bags and I wanted one so badly! Some even had two! I had none... But eventually it turned out that the goodiebags had the same kind of bag other people walked around with so I was yet again satisfied. tote bag says: "Reading is for awesome people." And of course, it's a Book Fair, so who doesn't go home with books? ...Me! I actually didn't buy any books but I did buy a tote bag I wanted to have for such a long time. I tried to order it but they said I needed to buy them in a package of 20. Who needs 20 tote bags? So here they were all by themselves. First we didn't find the one I wanted so I was picking another one. Until my mother tried to shove a bag out of the way so she could get me the one I just had picked. IT WAS THE ONE I WANTED! Speaking of a coincidence! I already had seen a few people walking around with the bag I wanted desperately, but I thought they were sold out. I was lucky! That really concludes my trip to the Antwerp Book Fair. I didn't buy any books, surprisingly, I did get a goodiebag and a tote bag I really wanted. And above that, I met with the most amazing writer on this planet! Estelle Maskame made my day! Now I got three signed books and one amazing signed Christmas present. 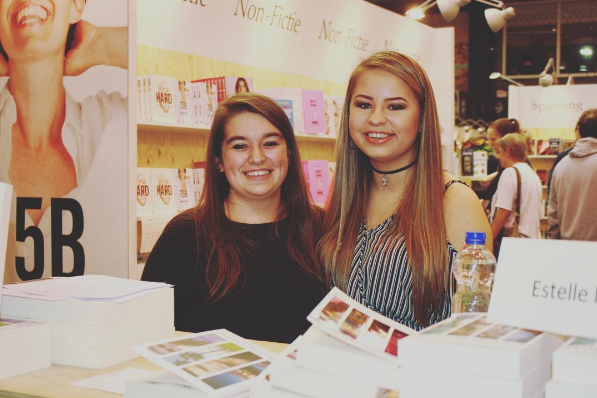 Thank you Estelle for being so friendly and being on the Antwerp Book Fair, you made my dream come true! 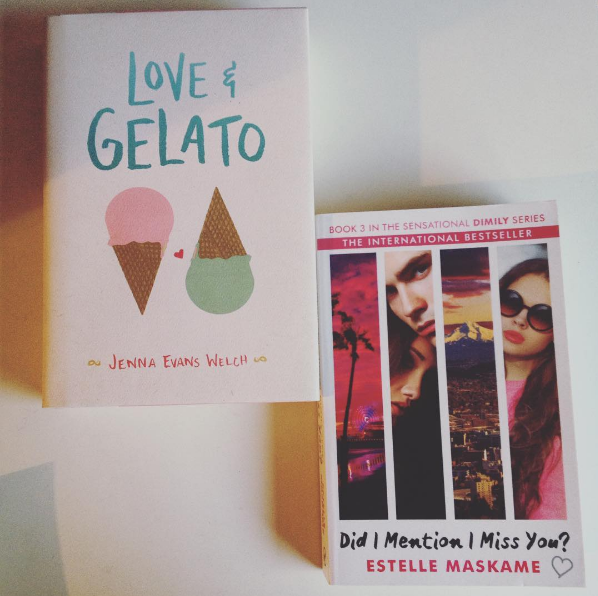 Review on: Did I Mention I Love You? Review on: Did I Mention I Need You? Review on: Did I Mention I Miss You?